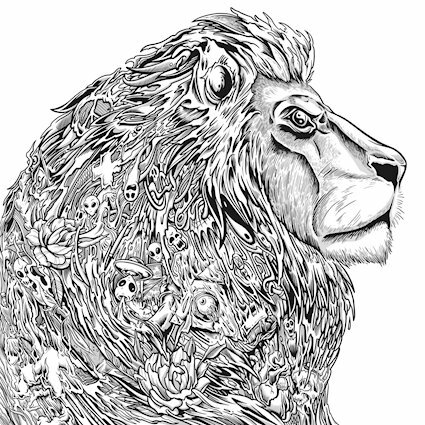 Pop Evil put their best foot forward on their eponymous fifth studio album with lead single “Waking Lions,” a near perfect rock anthem filled with beefy riffs and inspirational lines to spare (‘I'm not afraid, I'm not gonna stop till / I'll break down this cage, escape from these chains / You'll never silence my voice, no, I won't go…I wanna stand up, a hundred feet tall / 'Cause fear will never lead my way / I'm ready to run, a hundred miles strong / I will never be the same’). That metallic crunch persists through “Colors Bleed,” which sees the band transform into Rage Against the Machine as they tackle heady topics like politics, global tensions and humanity (‘Fight the system, stop and listen / True colors, how can you miss 'em / Born with knowledge, raise the fist / Face the enemy, just resist’), with frontman Leigh Kakaty continuing to play the role of Zach de la Rocha on “Ex Machina” (‘Are we shallow minded slaves? / Are we born to die this way? We pray the world will break before we sacrifice the human race’) and “Art of War” (‘Without a vote no voice to complain / Roll me over / Is it over? / Four years til another campaign’). “Pop Evil” is a tale of two records, and depending on which version of Pop Evil you enjoy, whether it be the heavier modern rock side or the Top 40 poppier side – there is something for everyone here.